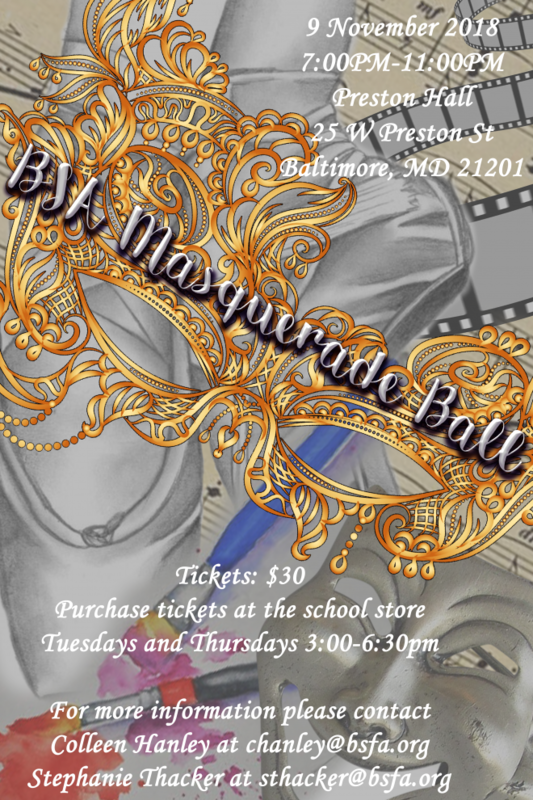 Join us for BSA’s first-ever Masquerade Ball! Don your favorite cat-eye mask, and get ready to dance the night away. This ball is open to BSA students in all grades! It will be held at Preston Hall, 25 W Preston Street, Baltimore, MD 21201. Tickets can be purchased in the school store on Tuesdays and Thursdays from 3 to 6:30 pm.